Bettinger, Blaine T. (October 13, 2016). The Family Tree Guide to DNA Testing and Genetic Genealogy. Published by Family Tree Books. ISBN 9781440345326. 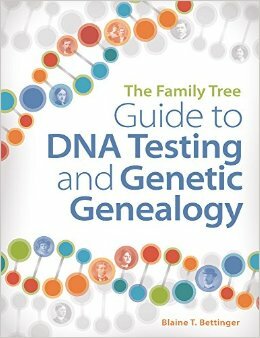 From the publisher's book description: "This plain-English guide is a one-stop resource for how to use DNA testing for genealogy." 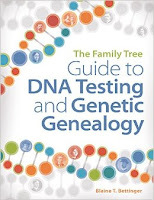 This comprehensive textbook by a respected industry expert covers the various tests and tools available today and is essential reading for anyone serious about genetic genealogy. The editing should have been better. There are a few minor errors and omissions, especially in illustration captions, which fortunately I am knowledgeable enough to dismiss. Hopefully they will be corrected in future editions. The section for adoptees could also be beefed up a bit.